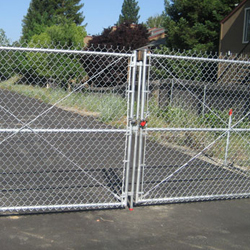 Galvanized Chain Link Fence, Chain Link Aluminum Fence, and Chain Link Gates are just some of the chain link servcies we provivde here at Chain Link Sacramento. Here at Chain Link Sacramento we specialize in Chain Link, but are not limited to the descriptions throughout our website. 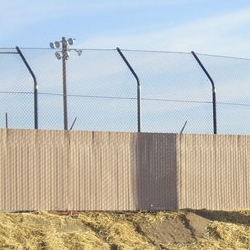 Over the years, Chain Link Sacramento has been the leading provider of choice for thousands of General Contractors, Developers, and Property Owners in the Sacramento area when it comes to commercial chain link fence services. At Chain Link Sacramento we provide a variety of chain link solutions. 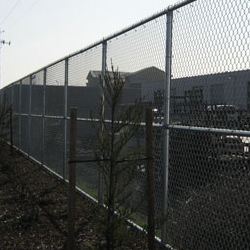 We carry a wide variety of commercial Chain Link products in Sacramento. Our residential chain link fence installation here in Sacramento is a step above the comp[etition. We can design All of our chain link fence styles at your home exactly the way you are looking for. Chain Link Sacramento has been in the area for years and we have been rated the top residentail chain link fence company in Sacramento. 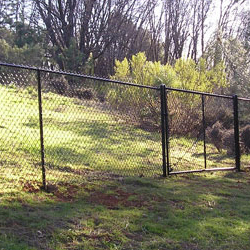 Security Chain Link Fence is one of the most common types of chain link fence options around. From protecting a school, commercial building or even a residentail home, security chain link fence options are always a good fit.